When us Brits used to boast we had the best television in the world, we meant the BBC. That claim went down the toilet about the same time it had become obvious we didn’t have the best national health service either. 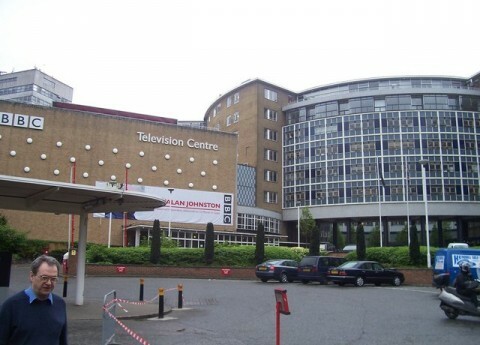 The plan to axe 2,000 jobs at the BBC in response to a frozen license fee is a cruel blow. Nearly a third facing redundancy over the next five years are working in BBC News. The quality of television journalism is certain to suffer and with it the democratic process. That both left and right complain about BBC bias is a tribute to its general impartiality. I’m a life member of the National Union of Journalists and know our new general secretary Michelle Stanistreet will be a tireless campaigner in resisting the job cuts. “Quality journalism and programming is inevitably going to be diluted. If the BBC presses ahead with these changes strike action across the Corporation seems inevitable,” she has said. But as an institution I wish I cared more about the fate of the BBC. As a listener I’m relieved Radio 4 has held on to its budget. But as for the Corporation’s TV output apart from Newsnight there is nothing I view regularly. I’m not a fan of any panel show nor do I watch programmes like Strictly Come Dancing, Top Gear, or Dr Who. The BBC lost its dominance in entertainment, original drama, documentary, sport and its way long ago. Buying ratings it squandered millions on Jonathan Ross and his ilk; chasing diversification it bought Lonely Planet guide books; but worst of all its top executives forgot it was a public service broadcaster. To my mind it is compromised by its commercial activities. The constant trailers for its own programmes across the network are an abuse of its position. Its internet service is no longer the power it was but its local radio stations must still be a barrier to entry by commercial rivals. The decision to chop Panorama – the BBC’s flagship investigative series - back to 30 minutes was the last straw. It’s too late for director-general Mark Thompson to be slashing the Corporation’s budget by 20 per cent and still call the plan Delivering Quality First.